We have a new product in that I am so excited about. No-Lice® hair bands. We've been testing them out and all the reviews are awesome. The girls wearing them in classes with outbreaks have stayed lice free!! No-Lice® hair bands perform as a lice repellent . Each hair band is infused with a natural formula proven to repel lice up to three weeks. 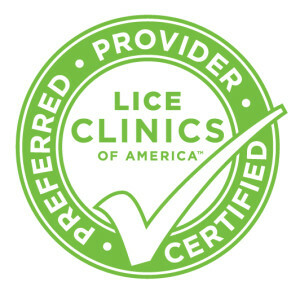 No-Lice® contains a unique formula that powerfully protects from head lice. It is free of pesticides, non-toxic, and leaves no residue. Each No-Lice® hair band and its unique formula tested effective for 2 to 3 weeks. Getting the 5 pack can give you up to 3 months of protection. It is widely known that keeping hair pulled back helps stop the spread of lice. Now with the No-Lice® hair band you can add an extra level of protection. No-Lice® leave no residue or require complicated applications. 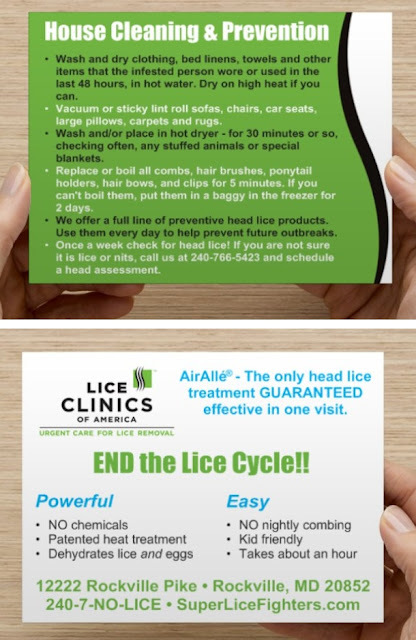 Help keep lice away the discreet and practical way . Our family is hooked on Spotify. We all have playlists we've made that we listen to constantly. We follow each other's playlists and we are always looking for new songs or lists or stations to add to our playlists. So when we opened the clinic we set up a clinic station. - LCA Rockville - It started out with just a handful of songs that we liked and a long day at the clinic would mean you could hear the songs over and over again. Over time we have added songs customers have talked about, new ones we heard on the radio or in a movie, old favorites that spark memories and at the time of this posting we are at 159 songs totaling 9 hours and 56 minutes of music. As I type David Bowie is letting me know that we can be Heroes just for one day!! The best part about this station is everyone sitting in the chair taking care of something that let's be honest, they would rather not have to deal with, is smiling and singing along or bobbing their head to the music. People ask all the time, "Is this the radio playing?" and we tell them, "No it is our awesome Spotify station. Check it out it is LCA Rockville." So when you are looking for a great mix of music that really has a bit of everything check out the awesome music that fills the clinic each day - we love it - and we are always adding to it. And next time you visit us feel free to give us you favorite suggestions to add to our ever growing playlist! !